It is unlikely that many of the Manchester City fans who attended the club's match against Shakhtar Donetsk will have been too concerned about a third day of revelations and leaked emails published by German news magazine Der Spiegel. With their team the reigning Premier League champions, top of the league, and known for playing some of the best football that the English game has seen, most City supporters will refuse to allow allegations that their club deceived Uefa over financial fair play (FFP) rules to detract from pride in their club. Nor will claims - however concerning - that executives ignored internal warnings about the reputational risk of striking a sponsorship deal with a Dubai-based construction company accused of mistreating migrant workers, and that a director sought to delay a response to a Freedom of Information request from a respected human rights expert over a commercial deal with the city council, have spoiled the fans' enjoyment of yet another convincing victory. City supporters are used to such scrutiny of course. They have grown accustomed to the suggestion that owner Sheikh Mansour's spending spree over the past 10 years has devalued their on-field achievements and enabled them to buy success. That their club is being used as a form of 'soft-power', to improve the image of a repressive regime in the United Arab Emirates that continues to be accused of human rights abuses. Many therefore, will be dismissing the current scrutiny - and the criticism it has sparked - as the latest manifestation of jealousy and hypocrisy, and some will no doubt have jeered the Champions League anthem even louder than usual in defiance. Others however, may not find it quite so easy to excuse a controversy that is rapidly becoming one of the most serious in the decade of Abu-Dhabi ownership at City, and which threatens to cast a shadow over the dominant force in English football. So how damaging are the allegations and where does it leave FFP? 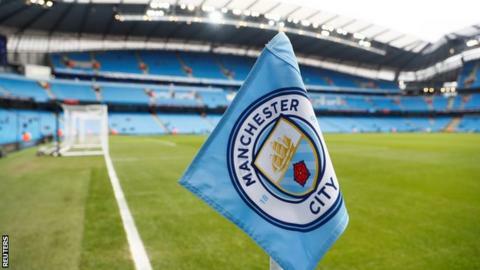 We have known since 2014, when City reluctantly accepted a settlement with Uefa that included a £49m fine (two-thirds of which was suspended and avoided) along with restrictions on their European squad and incoming transfers, that the club were found to have breached the FFP rules. What Der Spiegel's revelations claim to have shown for the first time however is how it was done, and the extent of the alleged deception. So far the claims of financial malpractice fall into two broad categories; firstly, that sponsorship deals were artificially inflated and not valued fairly or independent (as City previously insisted), with tens of millions of pounds thought to have been paid by commercial partners, actually coming directly and discreetly from the club's owner. And secondly, that City under a scheme called Project Longbow set up a shell company to pay players for image rights, saving millions more from the wage bill. The BBC has not been able to verify the leaked emails published by Der Spiegel, and City have refused to comment, beyond saying that the documents are "purportedly hacked or stolen" and an "organised attempt" to smear the club. But crucially, nor have they denied they are genuine. If they are authentic - (and Der Spiegel insist that their source - purportedly the founder of the Football Leaks whistleblower website - has assured them that he did not hack or steal the documents) - then many will inevitably conclude that they do not reflect well on the club, and raise serious questions over its integrity and its respect for the rules. What is not yet fully known is how much of this Uefa was already aware of, and how much it really cares. Remember that as far back as 2014, Uefa had concerns over the value of City's shirt and stadium sponsorship with airline Etihad, and deals from image rights and intellectual property. Eighteen months ago, the Independent newspaper claimed that City was making millions of pounds from image rights deals, three years after saying they were forfeiting that income to secure a lump sum to help comply with the FFP rules. Uefa is now under mounting pressure to act again and demonstrate that such apparent disregard for its rules cannot be tolerated. So far it has refused to comment "due to confidentiality obligations" which it says must be respected, and it may well conclude that its own rules do not allow for City to be sanctioned for a second time after the 2014 settlement. But given the new claims and details, most of which Uefa are unlikely to have been aware of originally, doing nothing will make it look weak, especially when City always maintained they had acted within the regulations. Such a denial now appears undermined. Should that 2014 settlement be reviewed? La Liga are leading the calls for a fresh investigation into City's finances, threatening to lodge a complaint with the EU competition authorities. The revelations are likely to anger the fans and owners of smaller teams from the likes of Eastern Europe that were excluded from Uefa competitions over other breaches. But anyone expecting City to be kicked out of the Champions League is likely to be disappointed. Uefa are understood to be wary of the threat of a legal challenge by clubs with the resources of City and PSG, and reluctant to weaken their competitions by excluding some of the world's best players. Let us not forget that in 2014, rather than make an example of City and ban them from Europe, Uefa instead struck a deal that saw one of the richest clubs in the world handed a fine of just £17m. That does not suggest a governing body that is too bothered about getting tough. It is also aware of the hypocrisy that exists in football, mindful of the fact that Real Madrid was one of seven Spanish clubs ordered to repay tens of millions of euros of state aid in 2016 after the European Commission ruled that preferential loans to the clubs and deals on tax and property constituted illegal government help. La Liga's condemnation of City and PSG will therefore be viewed in that context. Some have suggested that City's apparent attempts to circumvent FFP are nothing more than a canny and understandable exploitation of various loopholes in the rules, and should be viewed with some sympathy, given the controversy surrounding FFP. Established in 2011 to prevent clubs spending more than they earned and getting into financial problems which might threaten their long-term survival, FFP originally limited clubs to losses of £26m over a three-year period. Critics argued it was a restrictive and crude attempt to entrench the status quo, favouring the established clubs with the biggest incomes, and making life difficult for ambitious challengers, contributing to a lack of competition in some leagues. They pointed out that the system allowed for a club like Manchester United to be saddled with hundreds of millions of pounds of debt and interest repayments by its Florida-based owners the Glazers - who also take tens of millions out of the club for themselves each year - yet punished City. This despite the club earning praise for the way it has invested £1.45bn of Abu Dhabi's sovereign wealth since Sheikh Mansour's takeover in 2008, achieving an annual profit in each of the past four years of accounts, developing a respected youth system, and regenerating parts of east Manchester. The fact that a new FFP system was adapted earlier this year, meaning clubs are now prevented from running a deficit of more than £90m/season purely on transfer spending, suggests an acceptance that the original rules were flawed. Others however, insist that if clubs sign up to play in Uefa's tournaments, then they should abide by the rules, and that a failure to do so damages the fundamental sense of fair play on which sport is meant to depend. While City, PSG and other clubs appear to have made a mockery of FFP, Uefa stands by its regulations, arguing that they have made club finances healthier and more stable than ever, with 1,700m euros of combined losses across professional European leagues in 2011 transformed into 600m euros of profit last year. You can agree with the principle of FFP or reject it. And while some observers will be dismayed by Der Spiegel's rare and fascinating insight into the murky underbelly of the football industry, and the decisions apparently taken by City's hierarchy as they plotted their assault on English football's established order, others will merely view it as reinforcing their suspicions and their perceptions of a game already tainted by a series of financial controversies. Only last month HMRC revealed that it was investigating the tax payments of 171 players, 44 clubs and 31 agents. Earlier this year, Cristiano Ronaldo reportedly agreed to accept a £16.4m fine and a suspended jail term to settle tax evasion charges that he denies. And who can forget the 2015 corruption scandal that brought Fifa to its knees? These examples are entirely unrelated to Der Spiegel's current revelations, but it is increasingly hard to be shocked when it comes to football and money. This is not to say that we should not care of course, or that the media should stop asking tough questions. Quite the opposite. Der Spiegel should be applauded for its brilliant and important journalism. Given their cultural influence and importance to their communities, it is absolutely right that big clubs like City are held to account. But football surrendered the moral high ground a long time ago, and many observers therefore have become jaded as a result. Combine that fatigue with fans' tribalistic loyalty to their team, and it is easy to see why sport seems so able to withstand such controversies. What is certain is that this story has once again highlighted the challenge that 'the authorities' - regulators like Uefa - face when dealing with their clubs. Clubs that are backed these days not just by private investors, but by the rulers of entire petro-states, armed with sovereign wealth funds. Whether it is top clubs jostling for a bigger share of TV money, La Liga staging matches overseas, a proposed new Saudi-backed club World Cup, or the threat of a breakaway European Super League, or City apparently flouting FFP, the rules and the established order, seems to be under threat. Football's complex balance of power, politics and money may be approaching a tipping point.